I recently re-read Enzio Busche’s book, Yearning for the Living God. 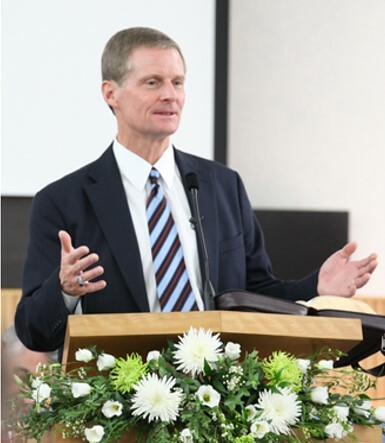 Enzio Busche, who became a Mormon in his late twenties in his homeland of Germany, is a former general leader in the Church who had responsibilities over many areas. The book is a collection of experiences he has had in seeking a personal relationship with God and helping others to do so as well. Here’s an account from the 1960s he shares about a young man named Wolfgang. I particularly like this experience because it shows what can happen when we turn to God for help. Too often we think a matter is too small or simply falls outside the domain of what God can – or should – do for us. [Wolfgang] was working as an unskilled laborer in a foundry where hot iron was poured into molds after it had been melted in huge ovens. He was working in a very hard environment among all kinds of rough and tumble people and felt most unfulfilled in his job. He suffered especially because of his young age. He was only seventeen, and he was the special target of a tall, husky co-worker who teased him whenever he could. This man would deliberately take Wolfgang’s tools, then, when confronted by Wolfgang, would gruffly defend himself saying, “Are you calling me a thief?” The man would regularly shove him around and even beat him up. [In relating this story], Wolfgang told…how he suddenly felt a great peace come into his soul. Calmly, he went back to the man and apologized to him, saying, “I have accused you of things for which I am sorry. I do not want to accuse you. I have so many reasons to be grateful that I am permitted to work with you. You are a good man, and I look up to you as an example because I need to have an example in my life.” Wolfgang said this sincerely because he was also aware of the goodness hidden in that man. The man broke down in tears and said, “I am not a good man. I am not a good example.” The man then admitted to taking Wolfgang’s tools and returned them all to him, saying, “I am not worthy to be an example to you but, from now on, I will try” That was the beginning of a solid friendship.I still remember the overwhelming happiness Wolfgang radiated as he described that first experience with the power of prayer and the Lord’s ability to help us deal with difficult circumstances, even turning around seemingly hopeless situations. My high school days were coming to a close in the spring of 2012. I was saying goodbye to a chapter full of wonderful memories and anticipating what was to become of my future as a college student. But then, as reality began seeping in just shy of graduation, fear began to consume me. I was not quite ready to say goodbye to my life in Brooklyn Park and I soon clouded my thoughts with regrets. My fear for the future stemmed from the knowledge that nothing would stay the same once I leave. I could not quite wrap my finger around what I truly wanted or felt I needed but I wondered whether I could be any happier than now. To get my mind off the ‘ifs’ and ‘buts,’ my best friend, Devon, invited me to a basketball game. I kindly declined his offer and asked for a rain check but he simply told me it was his last game of the year. My gut feeling was to spare an hour or two away from homework but I could not afford it. Minutes before the game began, I changed my mind and Devon was sure I would not regret it. As we arrived at the building, I realized this game was taking place in the gym of a church. I had no idea what to expect. To my surprise, everyone who greeted me was so nice and seemed so happy. I was puzzled. I wanted to ask them, Why are you so happy to meet a stranger? I could not understand. After the game, I had so many questions for Devon. I felt so different, so light and happy. Words cannot describe the beautiful emotions I experienced. All I knew was that I did not want to let go of these new feelings I had recently discovered. I did not learn until later that night that my best friend was a Mormon. The following week, my conversations with Devon were spent talking about the Church and gospel. I had never heard of these terms before and my interest in learning more grew and grew. He then invited me to attend seminary and I was surprised that I recognized half the faces in the class from school. 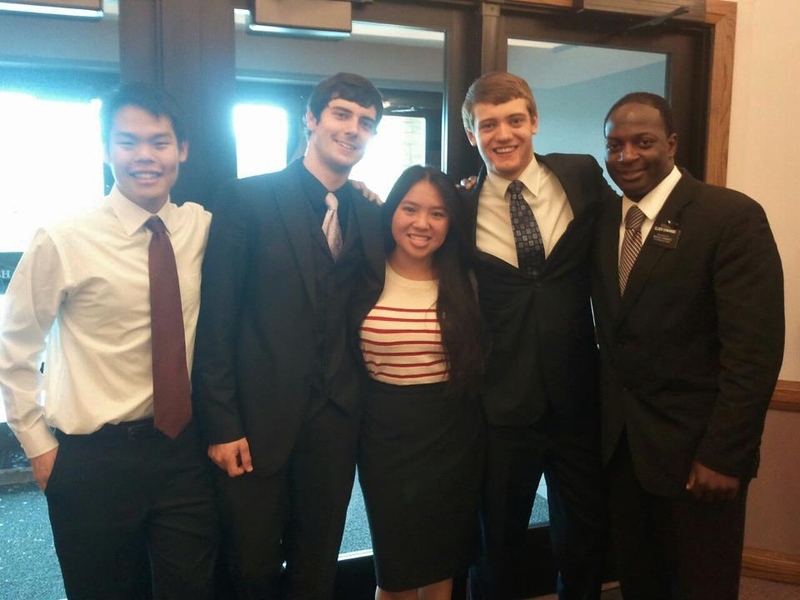 I also started attending church on Sundays and Sacrament Meeting soon became the highlight of my week! So many kind individuals befriended me in the course of only a few weeks. My incredible friends who share the same love for the gospel as I do! Soon enough, Devon was off to Utah to attend a summer semester at Brigham Young University (BYU) before his two-year mission. At the time, I was not sure if he was the reason I had the desire to attend all these LDS events and meetings, but I remember vividly the day I walked into the chapel for Sacrament Meeting by myself and I felt this peace reside in the pit of my stomach before it enveloped my whole being in a matter of seconds. I was confident I was in the right place at the right time. I began meeting with my original missionaries once a week for the duration of the summer with another good friend, Ethan. The meetings with the missionaries brought an excitement of learning about our Heavenly Father and the Plan of Salvation, which I learned was meant to bring happiness to all His children, including me. I also learned that the Atonement of Jesus Christ has given us the opportunity to repent of our sins and that His perfect example allows us to love one another fully. This new understanding filled me with even greater faith and peace. Disappointed, I tried to see things through their perspective and it made me feel terrible as a daughter. I felt like I was being disobedient if I persisted in going against my parent’s wishes. So, I decided that baptism was not going to be a part of my future anymore. I played it safe and went back to practice my family’s faith, Shamanism. September rolled along and I left home to move up to Duluth to further my educational career. By this time, my best friends had left on their missions. For the first few months of college, my desire, and specifically my confidence in the truth of the restored Gospel, began to fade away at such a rapid pace. I truly felt alone on this spiritual journey once guided by my best friends. By November, I decided it was time to retire my interest and move forward with my life away from the Church. It was the hardest decision I ever made and the idea of giving up seemed so foreign to me, which made it even worse. I felt it was only appropriate to write of my decision to Devon who was now on his mission. I cannot recall exactly what I told him but it was along the lines of thanking him for the time he spent sharing the gospel with me and showing me the love our Savior and Heavenly Father have for all Their children. I also included in this letter how much I dreaded informing my parents that they were right all along – that my involvement in the Church was simply a phase that would come to an end. I wrote this letter the Monday before Thanksgiving because I was going home for the holidays the next day and I thought it was only right to tell my parents in person that I would no longer participate in any LDS activities. As I dropped this letter at the post office that Tuesday afternoon, I went straight to my mailbox to retrieve my letters, only to find a package – to my great surprise – from Devon. As I finished reading the remainder of the letter, I was at peace with myself for the first time in months. I knew what I needed to do. This personalized message delivered at exactly the time I needed it gave me a renewed testimony that my Heavenly Father loved me, and that He was aware of my struggle. When I saw my name on the Book of Mormon, I knew just how personal this gospel was for me and that I was meant to live it. Tears were streaming from my eyes but it was of sincere joy and gratitude. I decided I needed to build a firm foundation of faith in Jesus Christ and our Heavenly Father by being baptized. I still get a little choked up remembering this, because through the power of the Holy Ghost, I gained my first testimony that The Church of Jesus Christ of Latter-day Saints is in fact the only true church on earth today and that the gospel has been restored. That night when I arrived safely in my family’s home, I never ended up telling my parents that this all was a phase and that I will no longer seek a future in the Church. Instead, I shared to them why Heavenly Father’s plan of happiness mattered to me. They still held their ground on my decision to be baptized, thinking that I was too young to make any kind of rational decision. I informed them that baptism would continue to be part of my plans, if not now, then in the future. My parents loved me and only wanted the best for me. They were concerned I had a false impression of the Church. I reassured them that for the past eight months, I had the power to choose and think for myself of the things I learned from my missionaries and the scriptures. My inquisitive nature led me to ask myself why I was willing to sacrifice the life I grew up in for one that challenged who I wanted to be as a person. My answer was simple: I love the gospel and Church. I want to live righteously under the guidance of Heavenly Father and through the example of Christ. I want to be truly happy. However, I still struggled immensely for several months with wanting my parents’ support. Could I forgive myself for disobeying my parents? Was baptism worth losing all communication with my family? How would I live with the consequences of my choices after baptism? My answer came in a scripture one evening that put an end to all my questions and fears. “He that findeth his life shall lose it: and he that loseth his life for my sake shall find it” (Matthew 10:39). Baptism was no longer a hypothetical situation, but a new reality I was going to take on. By the end of February, I prepared myself spiritually, mentally, and emotionally for this new chapter of my life. 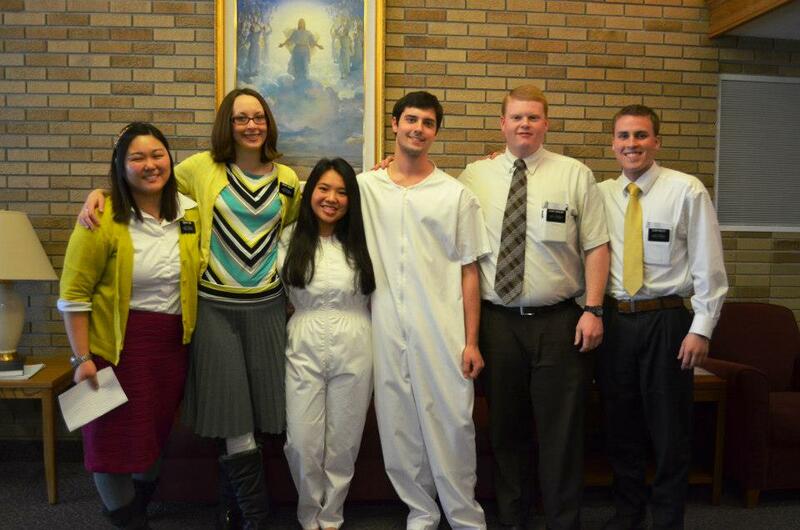 I was set on April to be baptized and I could not be any happier. As my baptism was inching closer and closer, opposition struck at every corner of my life. I knew I would have to tell my parents of my true desires despite being disowned by them. I became well-aware that my parents would stand firm in their own right and I did the same in my faith. I was able to find the courage to tell them in a letter that I knew this was the right thing to do. It was important that they knew I would become a better person and daughter through the gospel. My decision would not change the love I had for them as my parents, but rather show me how to love them even more. With much hesitation, they gave me permission to get baptized and said they respected my tenacity. I remember that one ‘yes’ from my parents left me jumping for joy and nothing would be the same again from then on. I was content with change. Days later I would learn that they planned on attending my baptism as well! My baptism finally came around. My smile that day did no justice to the feelings I had when I was baptized!!! I felt truly loved and supported to have my family, friends and members witness a part of my spiritual journey, one that would bring me closer to Heavenly Father and Christ. I knew how important this was for me and was glad they understood that too. It was uplifting to feel the Holy Ghost’s presence and I was comforted to know that I made the right choice all along. The next day I was confirmed and received the gift of the Holy Ghost, and it was then that I realized I could be happier than I thought a year earlier. It has been seven months and counting since becoming a member and the blessings have been immeasurable. My relationship with my parents and family has grown stronger in love and appreciation. They have come to know that the gospel and Church has done immense good for me. Some of my siblings have followed my example and taken up an interest in the Church I love so dearly. I am grateful to have been surrounded by so many honest and loving friends who lived their faith in ways that helped me feel the truthfulness of the words of God He gives to each individual. I always ask myself when I look back on this precious memory, what were the odds that I would receive Devon’s package on the very day that I was determined to give up on the Church. It was such a tender mercy from the Lord that taught me I did not need to worry about the future and that I would be in good hands. I have learned to rely on the Lord and act accordingly to what I know now. I know faith in Jesus Christ points toward the future and precedes miracles. I love being a daughter of Heavenly Father because His love has shown me the way to reach my potential. I am grateful for my experiences because it has helped me develop courage to keep my testimony burning brightly in the face of adversity. I strive to live the gospel every day because I know this is His church. No big-time chastity questions in my Sunday School class today. Based on how things went, I should have spent more time addressing the topic, Talking out of turn in Sunday School class: What are the limits? Another part of church today was also good – in fact it was great. The speakers in Sacrament meeting were terrific. Their messages were uplifting and personal. One of them was a recently divorced Hispanic young mother of two. She very humbly mentioned that several months ago, she felt a desire to improve her life, both spiritually and temporally. She met with her bishop. 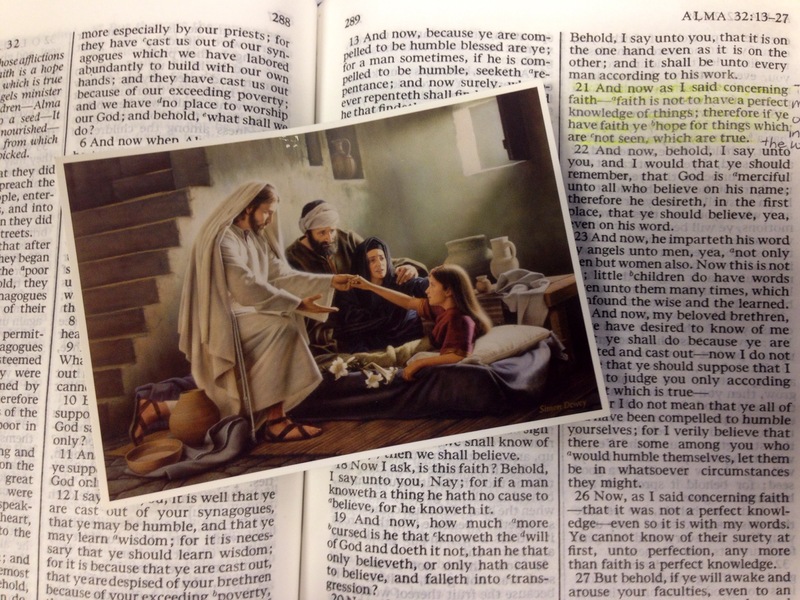 He counseled her to read her scriptures everyday, so she did. As she got going she felt inspired to read the Book of Mormon within a month. Despite having two young kids and being in school at the time, she read and to her surprise she was able to finish it in less than a month. 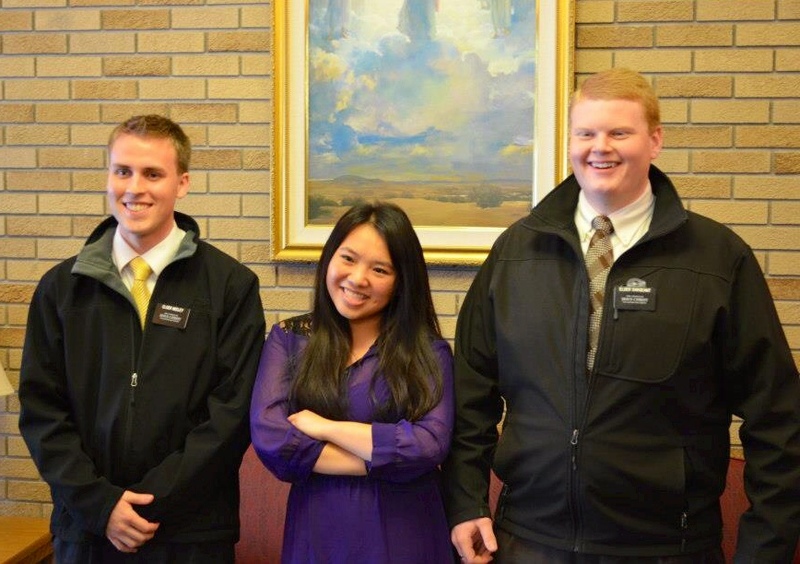 From reading the Book of Mormon in so short a time, she said, she gained a stronger testimony of its truthfulness. She was also impressed by how faithful the Lord is in delivering his people. As she spoke and described what she learned, I felt the Holy Ghost through her message. I was strengthened. This good woman didn’t refer to the following verses from the Book of Mormon, but she may have had them in mind. They sure came to my mind as I listened to her remarks. 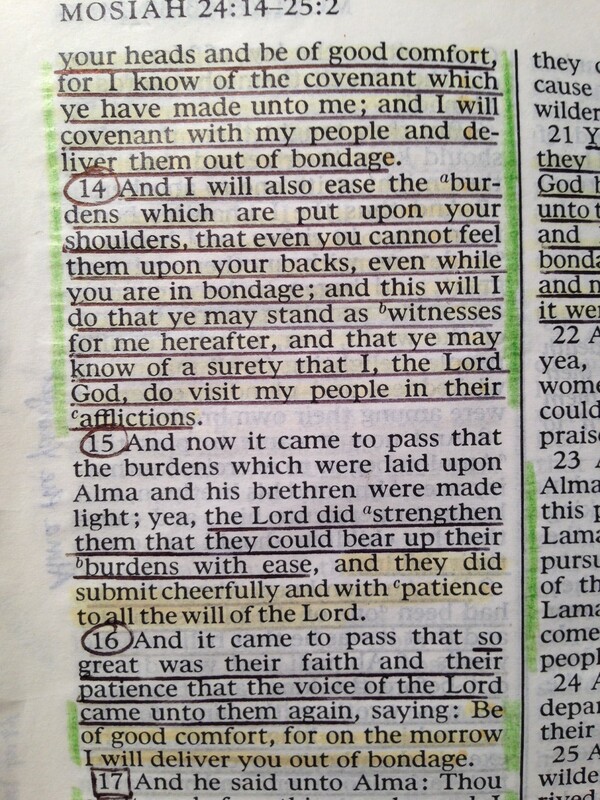 Mosiah chapter 24, verses 13-16 has been a favorite of mine for a long time. The Lord doesn’t often explain why he does certain things, but in this case he does. He also frequently asks us to believe, but in this case, he wants his people to “know of a surety” just how present he is in our lives, especially in our afflictions. Love increases through righteous restraint and decreases through impulsive indulgence. And there you have it. Short and sweet. If Elder Bednar was going for a concise and memorable statement (say 140 characters or so), I say he deserves high marks. The character count on this particular line comes in at a healthy 85 – plenty of breathing room to add all kinds of relevant hashtags. It’s brief, yet powerful. Catchy, but not cliché. Perfect for our Twitterized world. But it’s even more perfect for how we should govern our lives. I’d venture a guess that we all have learned from experience that our ability to feel real, genuine love is enhanced when we deliberately discipline our lives. Likewise, we diminish our ability when we abandon that discipline. An impulsive indulgence could be as subtle as a mouse click, which leads to a pornographic website or image. Or lingering on an indecent TV show while channel surfing. But righteous restraint looks and acts like Joseph of old, who fled from a tempting situation and “got him out” (Gen. 39:12). So here’s to righteous restraint and to rejuvenating repentance. Let’s always remember there’s a way back and a way up, if for whatever reason, we’ve stumbled in our efforts to righteously restrain all our passions.